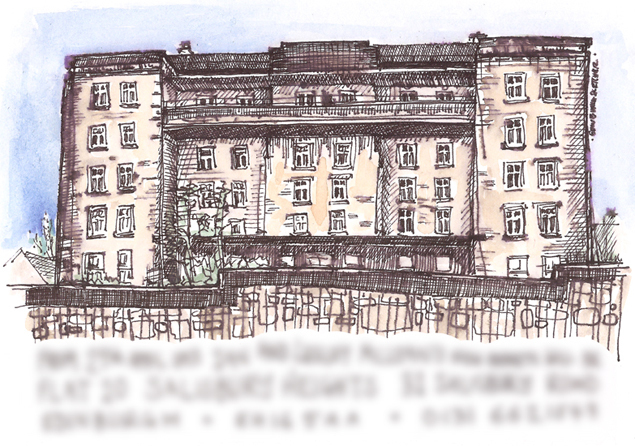 I was asked to sketch it for a ‘change of address’ card. The sketch, along with text below stating the new address and telephone details will be printed on postcards, which will then be posted out to friends and family to tell of their upcoming move. Such a lovely idea plus the couple also get the bonus of an original EdinburghSketcher drawing of their new abode to hang on the wall. If you are moving house and would like to send out ‘change of address’ cards with an original sketch, then get in touch HERE and we can discuss details.